A. 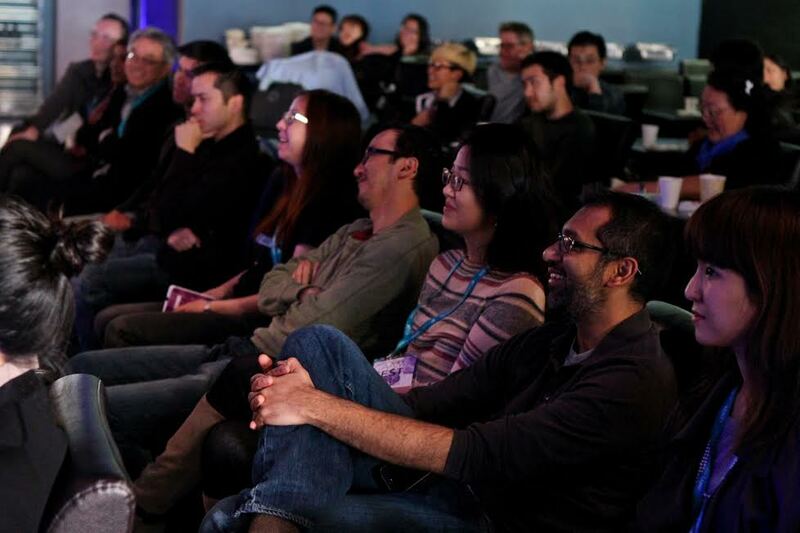 Moon and other 2014 Fellows: Kiyong Kim, Soojin Chung and Soham Mehta react to a particularly humorous moment during the panel discussion on sustainability at CAAMFest 2014. Photo credit: Michael Jeong. Meet our incoming CAAM Fellows. CAAM is thrilled to announce the 2015 CAAM Fellows. Since 2012, what used to be a stand alone James T. Yee Fellowship for documentary makers is now a part of our CAAM Fellowship Program. The CAAM Fellowship Program caters to both fiction and non-fiction talent. Our goal remains to nurture a community of makers and professional mentors from within the Asian American media microcosm. Furthering CAAM’s work to nurture Asian American media professionals and advance the field of Asian American media, the 2015 CAAM Fellowship Program will connect talented and dedicated individuals with leading professionals in the field. The CAAM Fellowship Program is unique in its field-wide approach seeking to develop the talents and skills of a range of media professions including filmmakers, actors, programmers, and executives. Vera Brunner-Sung is an award-winning filmmaker whose experimental and documentary short films have been presented at festivals, museums, and galleries in the U.S. and abroad, including the Torino Film Festival, CPH:DOX, Leeum Samsung Museum of Art, MoMA PS1, San Francisco International Film Festival, and Images Festival. Her first feature, Bella Vista, had its world premiere at the International Film Festival Rotterdam in 2014. Vera’s writing on film has appeared in Sight & Sound, Moving Image Source, Cinema Scope, and Senses of Cinema. A graduate of the California Institute of the Arts M.F.A. Program in Film and Video, Vera has taught at the University of California, San Diego, and the University of Montana. She lives in Missoula, Montana. Franklin Rho is a writer-director currently working as the script coordinator on the upcoming ABC miniseries about the Bernie Madoff scandal. Hailing from Richmond, Virginia, Franklin’s love for auteur-driven filmmaking led him to the American Film Institute where he received his MFA in Directing. His short film, THE MONSTER AND THE PEANUT, played at numerous festivals and won several awards, including the student Emmy for Best Dramatic Short Film and the Alfred P. Sloan Foundation Grant. After film school, he shifted his focus to television writing and won a number of awards for his original pilot REVELATION and a BREAKING BAD spec. In 2012, he was in Film Independent’s Project Involve and directed the short film MARRIAGE OF INCONVENIENCE. The following year, he was in Visual Communications’ Project Catalyst program and CAPE’s New Writers Fellowship. Talal Al-Muhanna was born in Kuwait and moved to the United States with his family at 10. Following years of training in the performing arts – including at North Carolina School of the Arts – Talal enjoyed a career as a performing artist in the United States, Germany and South Korea. In 2005, Talal did film studies at New School University in New York and later his BA and MA in “Film & Moving Image Production” at Leeds Metropolitan University in the U.K. His thesis film followed a group of Western and Asian performance artists traveling through China in the 5th Dadao Live Art Festival. Talal produces documentary and fiction films by filmmakers of Arab origin and projects in the arts & culture genre. He is currently co-producing the documentaries “Room for a Man” (by Lebanese filmmaker Anthony Chidiac) and “Dance with a Bullet” (by Iraqi filmmaker Dhyaa Khaled). His fiction feature project “Nothing Doing in Baghdad” (by Iraqi filmmaker Maysoon Pachachi) received the IWC Schaffhausen Gulf Script Award in 2012. Talal has received support from Visions Sud Est (Switzerland) and the Arab Fund for Arts & Culture (Lebanon). Angela Cheng Caplan is the President and CEO of Cheng Caplan Company, Inc., an independent literary/talent management and production company based in Los Angeles, California, representing Academy A ward nominated filmmakers, Emmy A ward winning television show creators, international best-selling book authors, Tony Award-winning playwrights and world-famous comic book creators. At Cheng Caplan Company, Inc., Angela and her associates specialize in working with world creators and storytellers who can work across narrative forms. Angela’s clients come from all over the world, and bring their diverse life experiences into their work. Angela holds a BA in Semiotics-French from Brown University in Providence, Rhode Island and lives in Los Angeles with her husband and her three children.